The best Toluca Lake towing company can be there when the day goes badly. In Southern California, everyone is busy. Even if people are just hanging out, “Netflix and chilling,” they still have places they have to be. But, when tires go flat and other car problems occur, it can ruin an entire day. Suddenly, an afternoon that seemed full of promise and potential will now be wasted by the side of the road. Fortunately, there’s a Toluca Lake and Sherman Oaks towing company that can get Southern California back on the road and back on their day. Many Toluca Lake and Sherman Oaks towing companies are just that: Toluca Lake and Sherman Oaks towing companies that have just a tow truck. They aren’t equipped to handle the wide variety of problems that can plague motorists on the road. Anna’s Tow Truck Services company also offers tire changes. So, if all that’s stopping a vehicle is a flat or otherwise malfunctioning tire, with a quick tire change, the driver can be right on their way again. 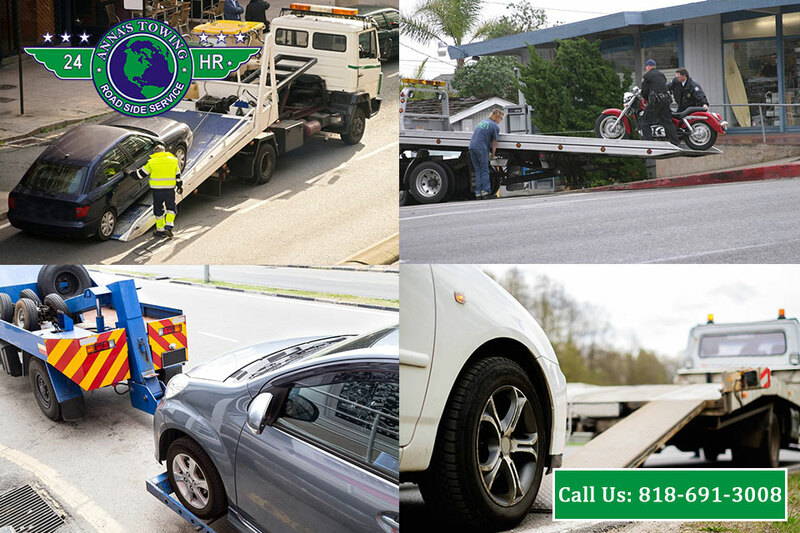 In fact, Anna’s Toluca Lake and Sherman Oaks towing company offers comprehensive roadside assistance. 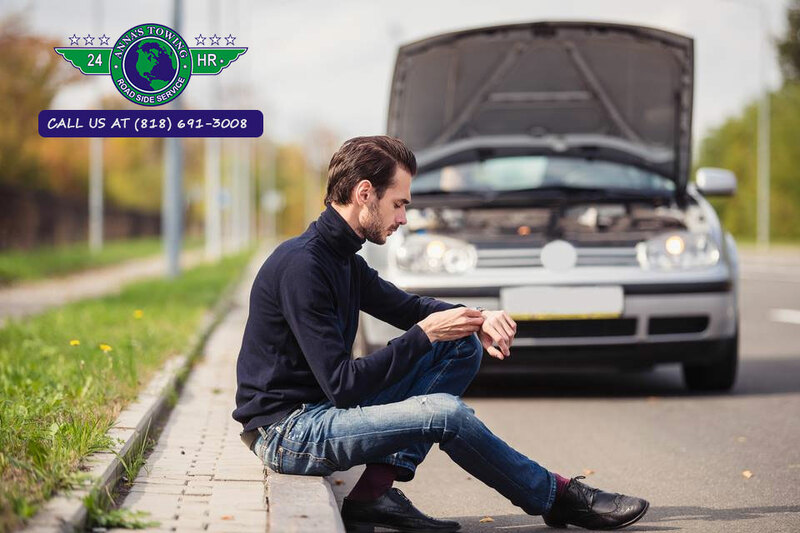 To that end, if the vehicle’s battery loses its charge, or the battery just needs jump started, this Toluca Lake and Sherman Oaks towing company can fix the problem. Perhaps best of all, the towing service is always available, 24 hours a day. 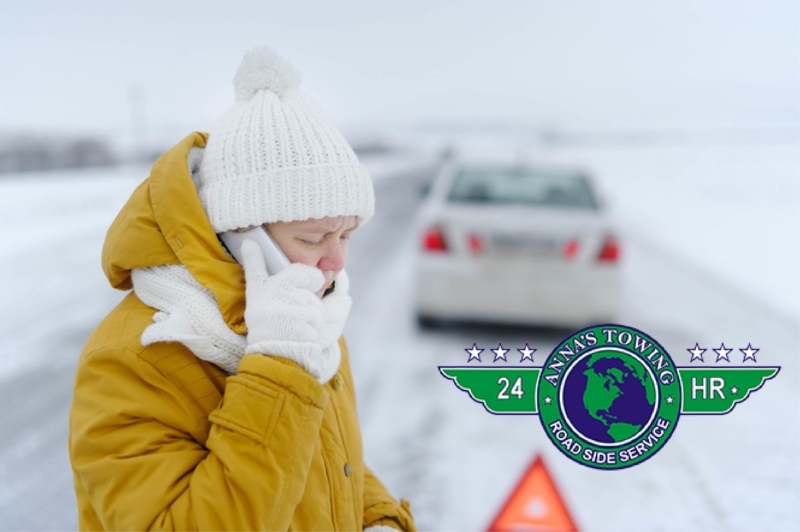 That means that no matter where a driver gets stuck, Anna’s Tow Truck Services can help. After spending just a few moments out on a Southern California road, anyone can see that there are many more kinds of vehicles out there than just cars. Anna’s Tow Truck Services company caters to them, as well. They tow motorcycles, and even have “heavy duty” towing capabilities. A good rule of thumb: if it can break down on the road, there’s a good chance this towing company can tow it. Even beyond that, Anna’s Tow Truck Services company offers car lockout services. There are few feelings more frustrating than locking yourself out of your car. This towing company alleviates that. While there are so many gas stations in Southern California, sometimes it seems like there’s never one around when it’s truly needed. Thus, Anna’s Toluca Lake and Sherman Oaks towing company can deliver gas and fuel as well. 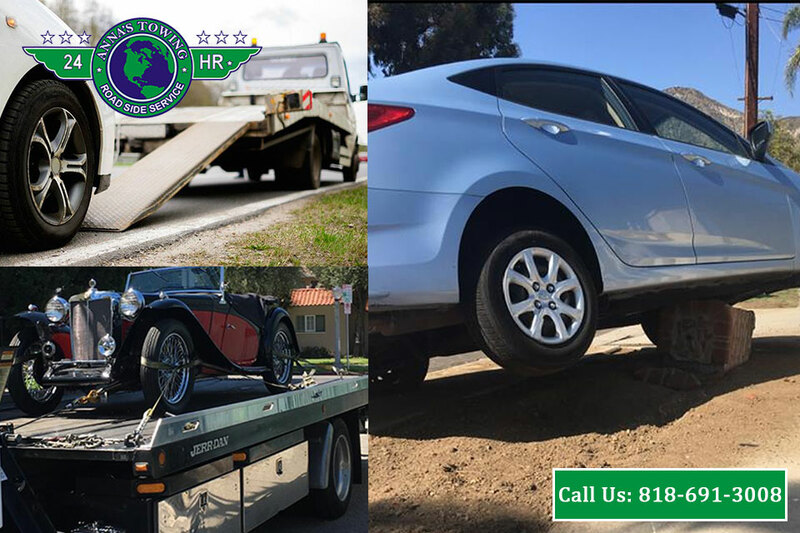 From Castaic to Long Beach and everywhere in between, this Sherman Oaks and Toluca Lake towing company gets LA back on the road again. 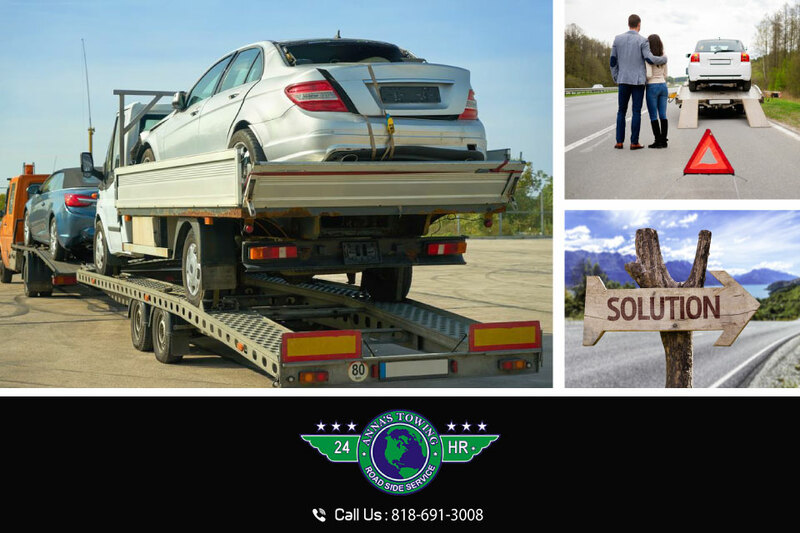 By covering such a wide expanse of land, the towing company ensures that they’ll always be a team of towing professionals nearby when necessary. 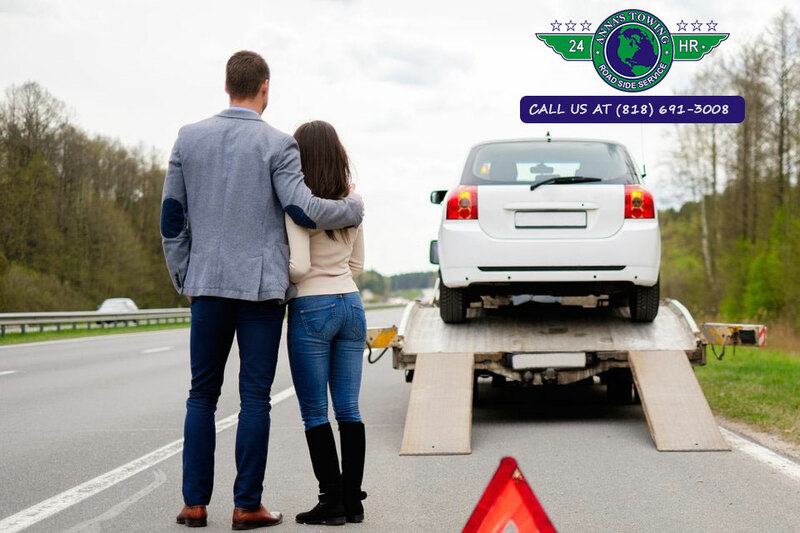 Whether the driver is in the valley or literally any of the surrounding areas, this Toluca Lake and Sherman Oaks towing company can get the job done, 24/7.